As the melodious verses of the story of Rama were sung with sweet devotion, the gentle breeze carried the haunting fragrance of jasmine and queen-of-the-night blossoms, blended with the lilting refrains of the birds and joyous chirpings of the crickets. Entranced by the beauty of this pre-dawn satsanga, one’s heart soared as high as the snow-capped mountains, and one’s mind became as clear and calm as a crystal lake in the moonlight. Was this the arboreal ashram high in the Himalayas where Sage Kakabhushundhi was reciting the Ramayana, or the abode of Lord Shiva on Kailasha Mountain where Shiva was recounting Rama’s story to Goddess Uma? It was all this and more! It was a Sunday morning in 1978 at the ashram of our revered Guru-Sri Swami Jyotirmayananda-as Swamiji began an extraordinary lecture series on the Tulasi Ramayana with his Miami disciples. The Ramayana is one of the most beloved scriptures of the eastern world, and its colorful and imaginative stories have enchanted the human heart for centuries. 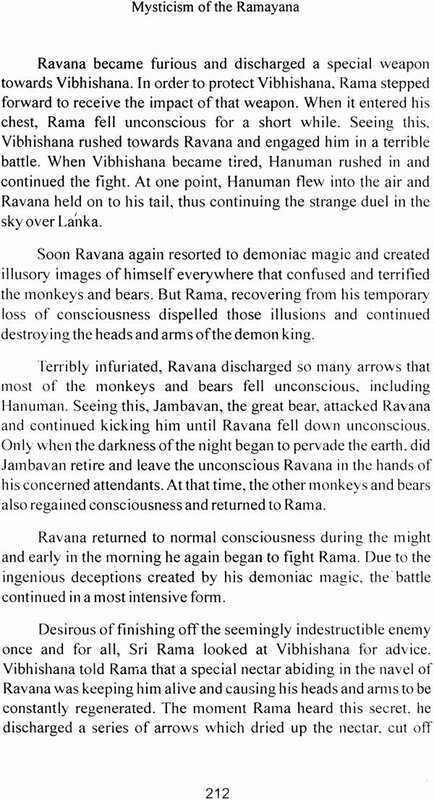 When the mystical implications of these stories are understood and reflected upon, the Ramayana becomes not just a moving epic, but a powerful promoter of spiritual transformation and a treasured guide on the path to enlightenment. It is our hope that this book, Mysticism of the Ramayana, will allow us to share with aspirants throughout the world for generations to come that splendid satsanga that we all enjoyed so deeply with Swamiji here at the ashram. 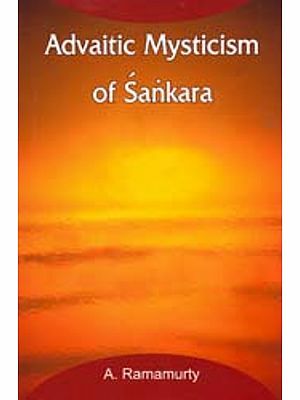 In this text, we have included all the major elements of the plot in abridged form, and followed each portion of the story with its subtle mystic interpretation. 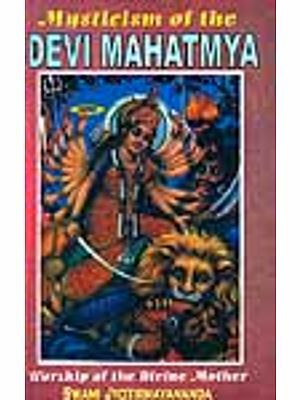 Each page will draw the reader close to the tender devotion, incisive wisdom, and radiant humor that blend in such an extraordinary way in Swami Jyotirmayananda. Each episode will make the aspirant feel that he is right there at the feet of the master as the story of Rama unfolds majestically before him, captivating his heart and emboldening him to attain the goal of life: Self-realization! 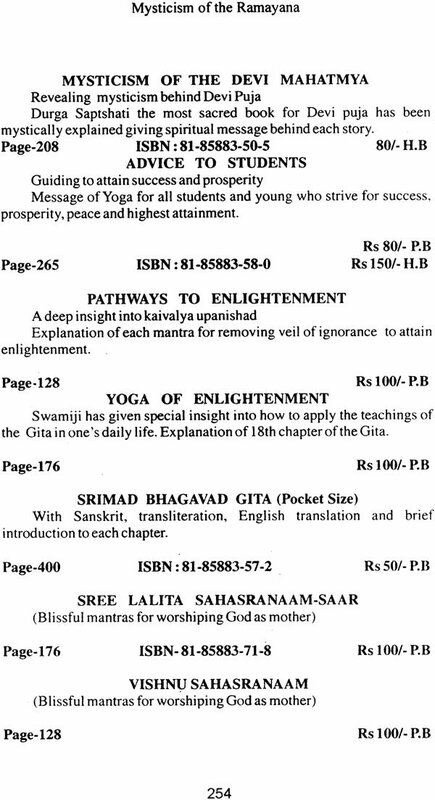 Swami Vivekananda, a renowned sage of modern times, once said that if there were a great flood and all the Indian scriptures were washed away except for one copy of the Gita and one copy of the Ramayana, then all the greatness of Hindu culture would come back again on the basis of just these two scriptures. The Ramayana-the story of Lord Rama and his exploits-has achieved tremendous popularity because it appeals to every heart in a mysterious way. 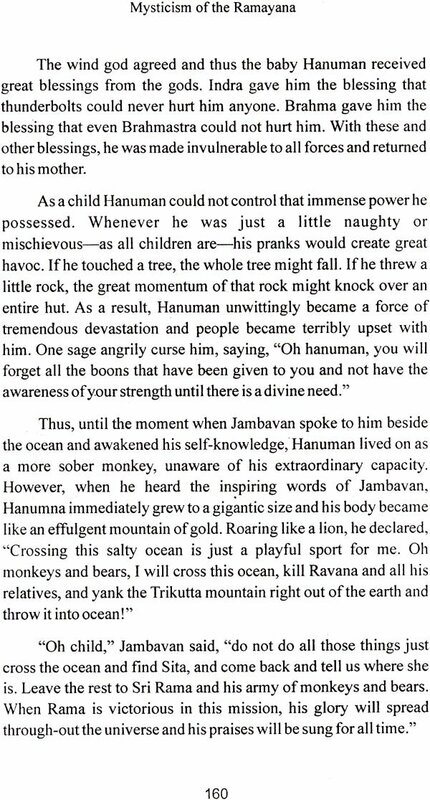 There is something so fascinating about the Ramayana that the story is well-known not only in India but in many parts of the Far East. In the islands of Java, Bali, Sumatra and in Thailand, China, Tibet and even Russia, variations of the Ramayana are popular and Rama is adored as a human and spiritual ideal. 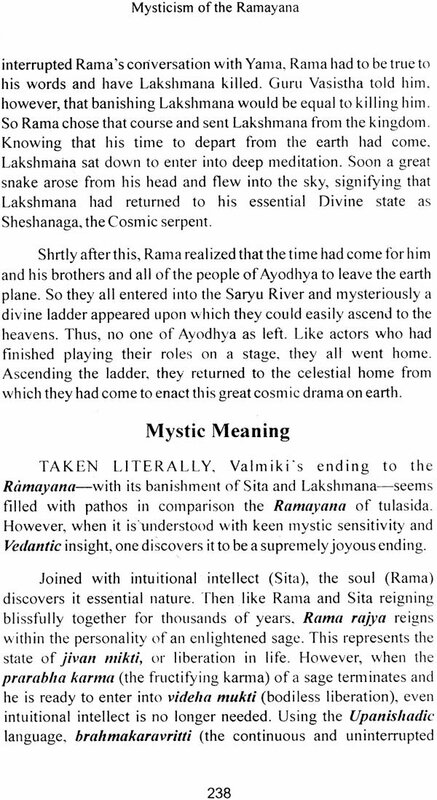 The Ramayana was originally written by Sage Valmiki perhaps thousands of years before Christ. There are many interesting stories about the life of this extraordinary sage, who composed not only the Ramayana, but Yoga Vasistha as well. 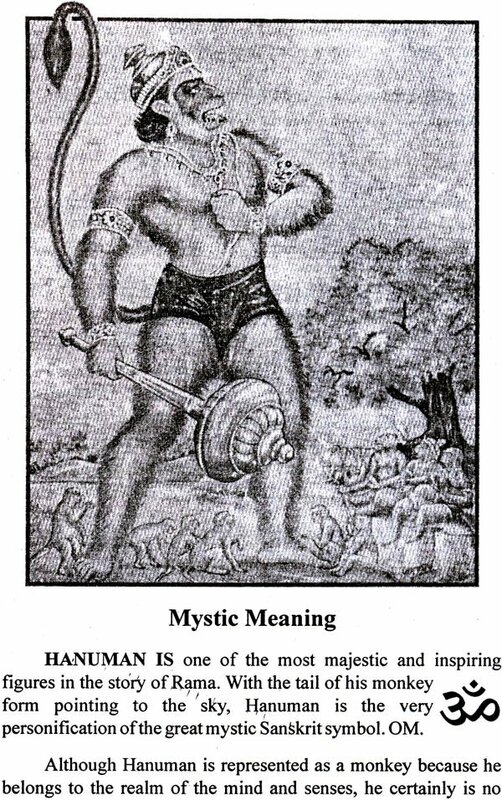 The ascetic emerged out of the ant hill a totally changed personality and was called Valmiki, which means “ant hill.” Soon he had an ashram and great disciples flocked to him for guidance. Yet, he did not have a clear idea of what his spiritual mission would actually be. All that he knew was the name of Rama, and the glory of that name. According to the Divine plan, Valmiki was wandering through the forest one day when suddenly he became fascinated by two krauncha birds who were delighting in each other’s company. As the birds sported together with such blissful exuberance, Valmiki was amused by the shouts and the songs of joy created by those two birds. Then suddenly, without warning, an arrow came from an unknown direction and killed the male bird, leaving the surviving female shrieking in despair. Happiness had instantly turned into pathetic sorrow. As her cries pervaded the atmosphere, the sage was touched by the anguish of the tender bird. He instantly glimpsed all the misery of the world symbolized in this simple event and it moved his heart with a sublime emotion. He expressed his sentiments by calling out in elegant Sanskrit words which meant, “O cruel fowler, why have you shot this bird that was at the height of its joy? May you be cursed and never find any rest.” The sage spoke not in ordinary prose, but in perfect poetic meter. Amazed at the upsurge of spontaneous poetry from his heart, Valmiki then began to reflect upon the implications of the event he had just witnessed. He saw in the experience of those two birds the fate of all living beings in this world. he realized that all beings are joined with their dear ones and the objects they love for only a short time; and just when they are at the height of joy, there comes an arrow from an unknown direction-the arrow of death, the arrow of disaster. Even before a person has had time to fulfill his desires, without warning he is trampled by death. That is the destiny of all human beings - not due to any bad karma, but by the very nature of being born and entering into embodiment. Because of his elegantly phrased outcry to the hunter, Valmiki became known in the Indian tradition as the adi kavi-the first man to compose poetic verses. 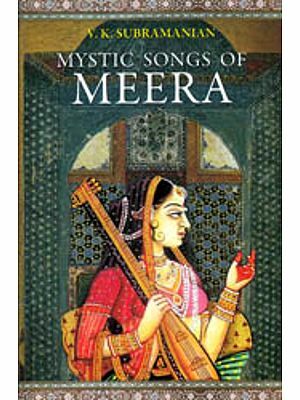 That title has been given to him to glorify his poetic art, because that poetic expression became the basis of inspiration for thousands and thousands of poets that came later in India. According to a popular story, Brahma the Creator appeared before Valmiki the moment he composed that first verse and blessed him. 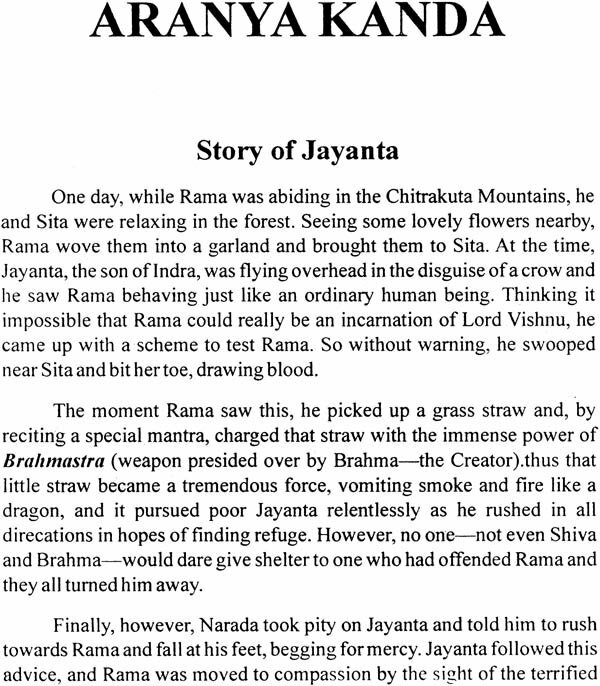 Brahma then encouraged Valmiki to write the story of Rama in the very same melodious meter, assuring the sage that he would have insight into that story by Divine grace. 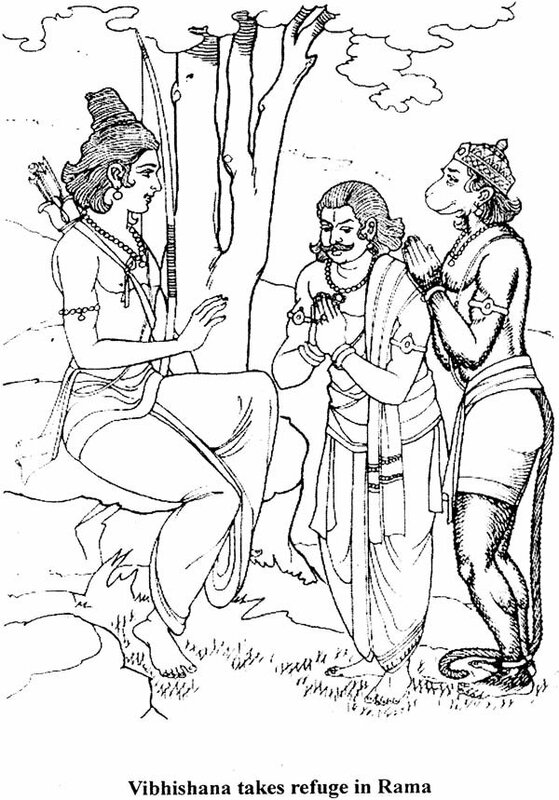 Thus, Valmiki began to compose the verses of the Ramayana even before Rama had incarnated because of his insight into the past, present and future. 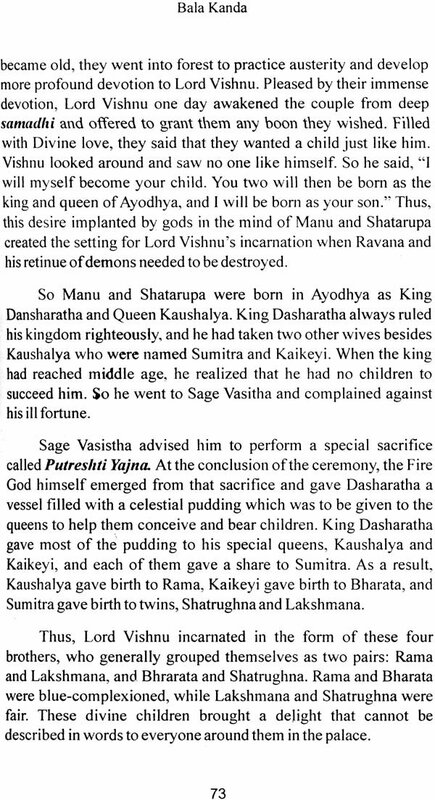 Another version of the Ramayana, and the one that we are studying more closely in this book, was written by Saint Tulasidas in the sixteenth century. This scripture is a liquid stream of devotion written in the Hindi language. It is well-known as the Ramayana, though it also has another name-Rama-Charit-Manas-which implies “a Himalayan lake of Lord Rama’s exploits.” As with Sage Valmiki, there are many colorful stories associated with the life of Saint Tulasidas. From ancient times, the devotional beauty of the epic story of Rama has given untold inspiration and delight to countless aspirants. 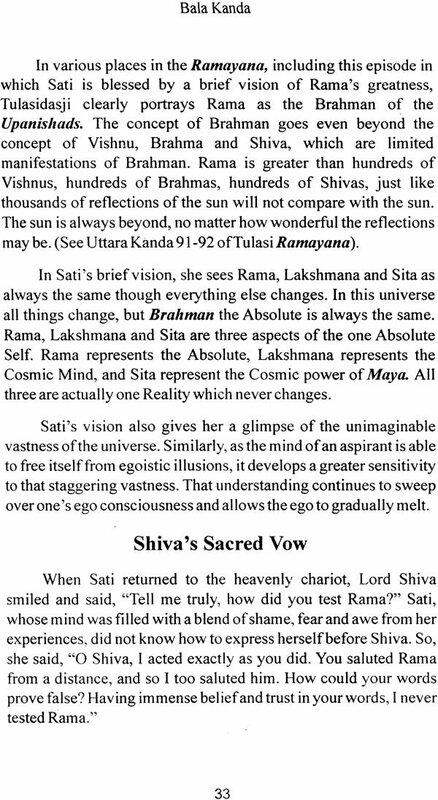 Now, as the subtle philosophical implications of this colourful epic are illumined by Sri Swami Jyotirmayananda’s spiritual insight, the infinite grandeur of the Ramayana truly shines forth. 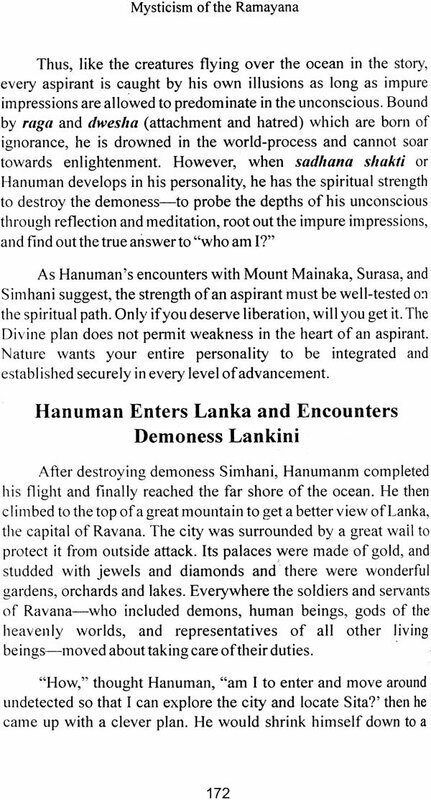 In the gracious light of Swamiji’s vision, all spiritual seekers will soar on the wings of devotion and wisdom to the highest summits of spiritual bliss!